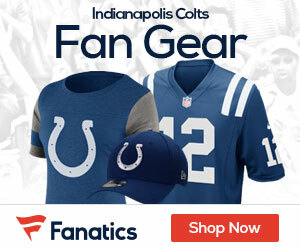 Will the Colts Be Able to Keep Adam Vinatieri? Once the lockout ends, Adam Vinatieri will become a free agent. After a pretty down year in 2009, Vinatieri came up big last season for the Indianapolis Colts, with many clutch kicks. If it weren’t for the sloppy defense on the last drive of the Colts’ loss to the New York Jets in last year’s playoffs, everyone would be praising Vinatieri for his clutch, game-winning kick. Many people would love to have kicker like Vinatieri on their squad, but it doesn’t look like it will happen as Indy will try it’s best to keep him. Plus, Vinatieri has said before that he would love to stay here. Although kickers aren’t really a huge part of the game, Vinatieri is not your average kicker. Who knows? If it wasn’t for him, the Colts probably wouldn’t have been in the playoffs. Who knows what the future holds if they have him for 2011.